London and San Francisco, January 19, 2017 – Digital Shadows today announced that several leading cybersecurity luminaries including Art Coviello, Tim Belcher, Jim Bandanza, Dr Srinivas Mantripragada and Ian Cook have joined the company’s advisors as the business heads into its sixth year of operation. Art Coviello was former Executive Chairman of RSA, The Security Division of EMC. During Mr. Coviello’s two-decade career at RSA, the company evolved to become a leader in information security, including security analytics, identity, and Governance, Risk & Compliance (GRC). Mr. Coviello was a driving force in RSA’s rapid growth during his tenure, increasing revenue from $25 million in 1995 to revenues of more than $1 billion in 2014. Since retiring from RSA, Mr. Coviello works with companies, industries, and governments to continue informing and shaping the evolution of security strategy to meet the challenges facing organizations today and tomorrow. Mr. Coviello’s decades of expertise and influence have made him a recognized leader in the industry and he plays key roles in national and international cyber-security initiatives and is a regular speaker at conferences and forums around the world. Tim Belcher was Chief Technology Officer at RSA and has been a Director of White Ops, Inc. since January 2015. He serves as a Member of Advisory Board at Invincea, Inc. Mr Belcher was founder and Chief Technology Officer of NetWitness Corp. and CTO of Riptech. Jim Bandanza brings over 20 years of enterprise security and software experience to the Digital Shadows Advisory Board as CRO/Chief Operating Officer at CounterTack. Srinivas Mantripragada is the Vice President of Engineering at AnalyticsMD and a venture advisor to several VC firms in Silicon Valley. Prior to that, he was Entrepreneur-in-Residence at Foundation Capital, a leading Silicon Valley venture capital firm sitting in Advisory boards of several companies. Prior, Mr Mantripragada was VP, Technology at Infoblox (NASDAQ: BLOX) leading their security initiatives and taking the company public. He was also the Director of Advanced technology at Determina, an innovative cybersecurity firm which was acquired by VMWare and Chief Architect at Barracuda networks (NASDAQ: CUDA), a worldwide leader in Web Application Security. Mr Mantripragada was also a founding member, CTO and VP of Products at RedShift networks, a leading provider of secure communications for VOIP/LTE networks. Srinivas co-Authored more than 60+ technical/product/research peer reviewed publications, journals, 6 patents with 2 standards defined. He holds a Ph.D in Computer Science from University of California, Irvine. Ian Cook joins Digital Shadows in an advisory role helping the business focus its efforts better towards incident responders and analysts. Mr Cook is CEO and Founder of Corbels Security Services and has 35 years of experience in advising businesses in their strategic decisions including Saudi American Bank, Citigroup, Merrill Lynch, Barclays, Team Cymru, and numerous technology start-ups. In addition Digital Shadows has strengthened its executive leadership team with the appointment of Daniel Moskowitz as Chief Financial Officer based in the San Francisco headquarters. Formerly VP Finance & Administration at AtHoc, where he helped grow ARR over 200% before steering its successful acquisition by Blackberry. Mr. Moskowitz has served in several other growth companies and cut his teeth at global firms including Intel, BMC and Intuit. Digital Shadows provides organizations with cyber situational awareness, a complete view of an organization’s digital footprint and the profile of their attackers. Digital Shadows SearchLight™continuously monitors more than 100 million data sources in 27 languages across the visible, deep and dark web. Supported with expertise from the company’s intelligence operations team, it provides an “attacker’s eye view” of organizations’ exposed data and the risks requiring mitigation, in order to prevent, detect and help contain cyber-related incidents. 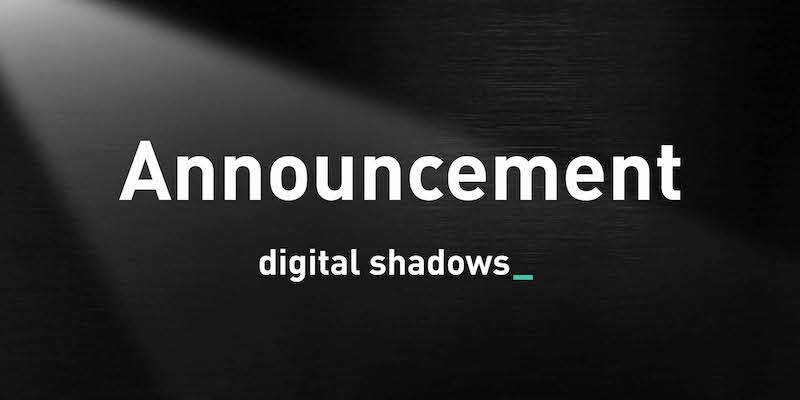 Digital Shadows closed 2016 with more than 880 percent revenue growth over 2015, and experienced significant customer expansion in both the United States and Europe, across verticals such as financial services, pharmaceuticals, retail and technology. The company grew rapidly hitting 100 employees in the second half of 2016 and a new office in Dallas to add to the sites in San Francisco and London.